Outdoor Kitchens Marlboro NJ Grinkevich Lawn & Landscaping. 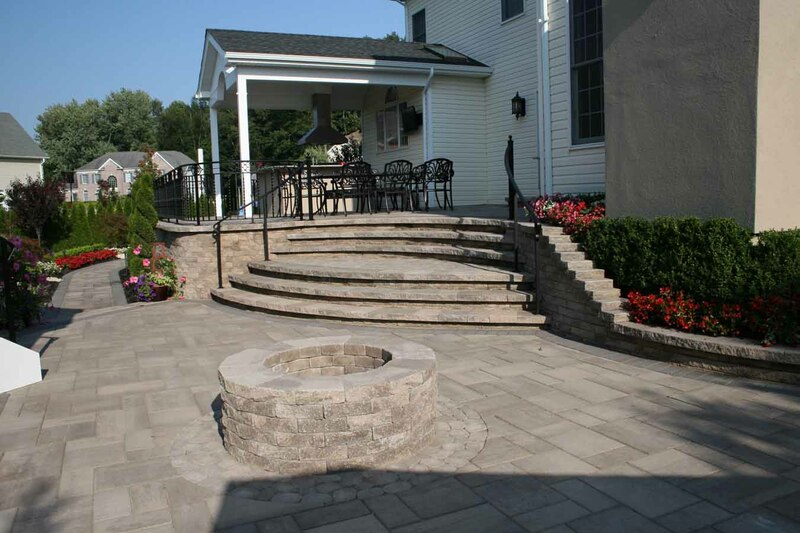 Fire Pits, Outdoor Kitchens, Bars, Paver company with over 35 years experience. We can help you create your own home oasis by adding and installing all the right amenities and backyard accents like pergola. Whether you want a pergola with a solid rooftop or an open roof, outfitted with a TV, heat/cooling system and entertainment system, we can custom design your outdoor living room according your needs. Enjoy a cozy night out under the stars in your pergola, just the way you’ve always wanted! Wish you could bake pizzas in your backyard and tempt your entire neighborhood with the delicious smell of pepperoni and cheese? Then let’s say, your wish can come true. At Grinkevich Lawn & Landscaping, we custom design and build outdoor pizza ovens. We specialize in gas and wood custom built pizza ovens. Our products are priced below retail. Guaranteed! We can install a pizza oven in your outdoor landscape independently or incorporate it into your overall outdoor kitchen design. The perfect combination of our top quality workmanship and construction techniques ensures superior oven functionality and reflects design brilliance. Our ovens are designed towards creating an attention grabbing focal point for your outdoor entertaining area. Add warmth and ambiance to your outdoor space by getting a custom designed fire pit. We can create spectacular fire pits as standalone elements just about anywhere you want or incorporate it seamlessly into the design of your outdoor kitchen or patio. It creates a beautiful place of warmth to gather around on cold winter nights and serves as a visually appealing addition, adding flair to your outdoor landscape. Our propane fire pit model feature stainless steel doors for the propane tank. 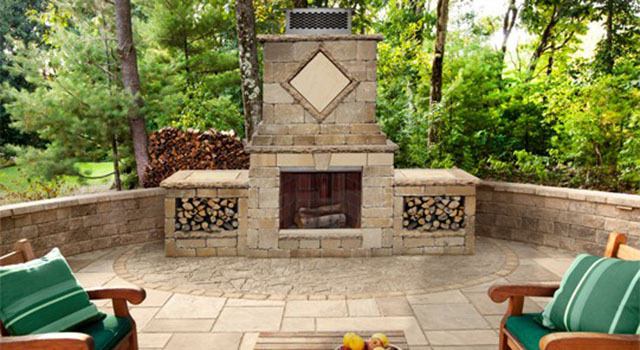 At Grinkevich Lawn & Landscaping, we have the expertise and skills to shape the fire pit according to your needs, using the finishing material of your choice. The finish materials we use include granite slab, slate, travertine, stacked stone, porcelain tile, stucco and flagstone.